Before we talk about roof cleaning, it’s important to discuss the types of dirt you might run into during the job. So what makes a dirty roof so dirty? There are several natural contaminants that affect the appearance and life of a roof. An old wives tale describes the black streaks on a shingled roof as a result of jet airliners dumping exhaust or fuel. But the answer is much simpler. Those black streaks that are most common are, in fact, algae. They create a streaking, random pattern down the slope of your roof shingles and look like something dripped from the peak down to the gutter. These appear most commonly on asphalt shingles and are usually apparent on the sides of the house having the least amount of sunlight. Sometimes everywhere on the roof, especially on homes which are in the permanent shade. The fluffs of green little pods that grow around trees also grow on roofs. Almost fluorescent in color at times, they hang onto shingles for dear life. Moss grows roots that anchor it down into the granules of the shingle. Sometimes golden in color, the random sprouts are often found in the areas of the roof that is not exposed to sunlight. Like algae, in homes located in permanent shade, mold could show up all over the roof. These organisms co-exist in a symbiotic relationship with algae, are usually bright green in color, the usual size of a small to large coin, and root deep into surfaces. This is the toughest natural contaminant of the bunch. 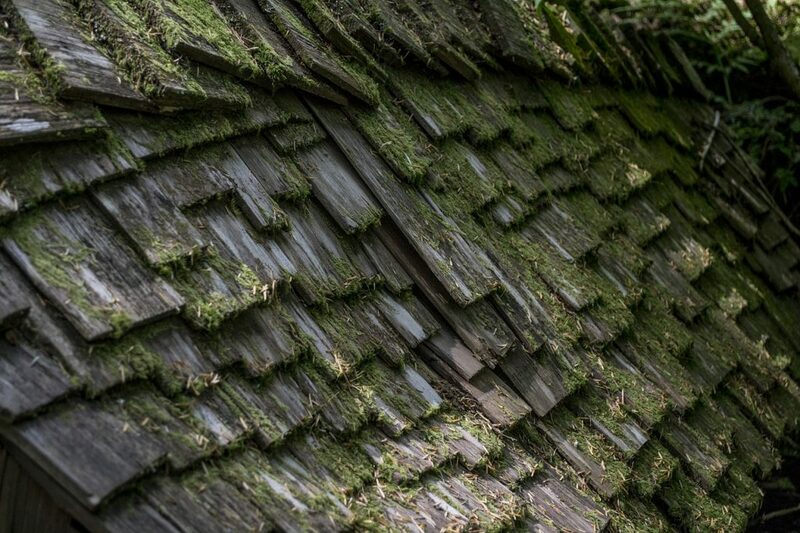 Natural contaminants aren’t just regretful to look at, they also take a toll on the life of the roof shingles. If not cleaned periodically, they’ll damage asphalt shingles. That damage could have you replacing the roof prematurely. Even if it is a partial patch job, that job is most likely more expensive than a routine cleaning. For safety’s sake and liability, always hire an experienced and insured roof cleaning contractor to complete the job. 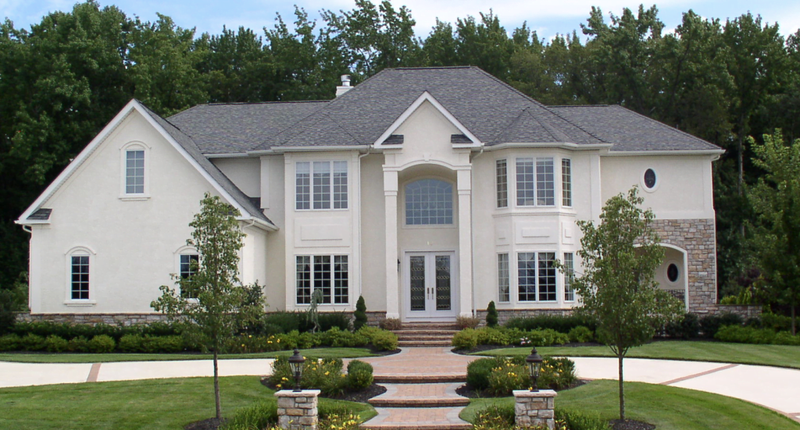 Our professionals have thousands of man-hours of experience in roof cleaning. We specialize in cleaning all types of roofs including the asphalt shingles common in the Baltimore & Harford County areas. Contact a licensed and insured professional for a free no obligation quote. Most pressure washing companies provide this service. 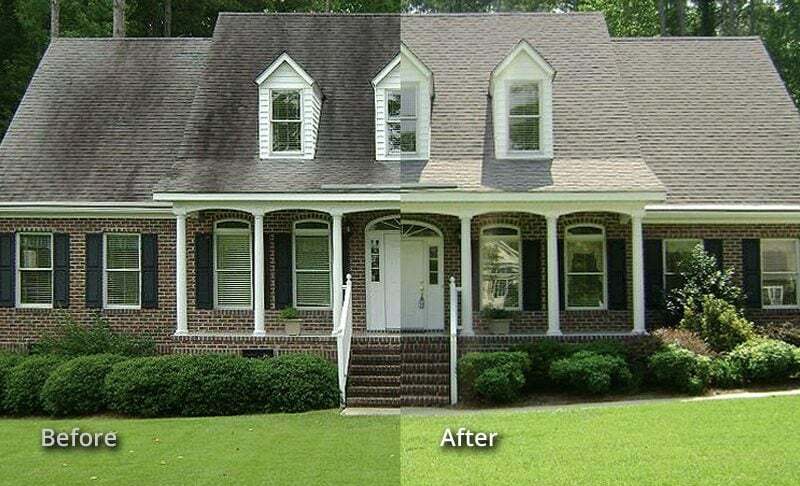 For softer roofing materials such as asphalt shingles, wood shingles, and asphalt rolls, the pressure washing company should never actually pressure wash your roof. Asphalt shingles are relatively fragile and high-pressure water can and will damage them. Ask about their soft wash methods. Make sure this is what you are getting. A soap/chemical application is the only way to go for this kind of exterior cleaning unless it’s an extreme circumstance. Expect it to take some time. Roof cleaning is a process that sometimes takes several days for the results to be satisfactory. It’s a slower killing process of the contaminants, not a power wash with typically much quicker results. Don’t buy the lie when a roofing contractor says you need a new roof because the shingles are dirty. Get a second opinion from a roof cleaning professional. This decision can potentially save you thousands of dollars. Hopefully, this bit of information helps you when you decide you’ve had enough of the ugly appearance of your roof. There are plenty of qualified local contractors in pretty much any municipality who are trained in the roof cleaning trade who can answer questions you may have. If you’re in the Baltimore or Harford County area in Maryland, give us a call at 410-513-9274 for a free quote or fill out the form below. ⟵Interior Painting Done by Professionals. What are the Benefits?